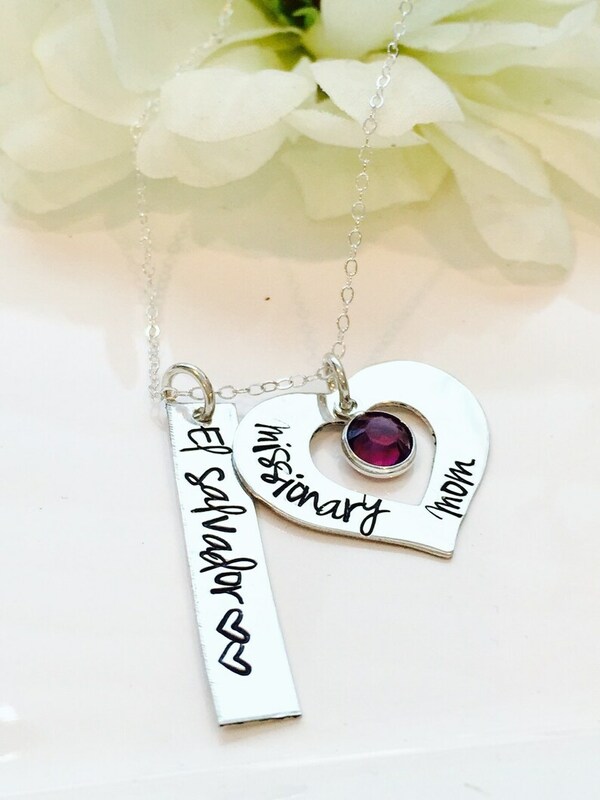 Beautiful Hand stamped Missionary Mom Necklace! Wear this sweet piece close to your heart. This necklace is a perfect gift for any Missionary Mom to wear while their Missionary is away. -1 Birthstone charm that represents your Missionary's Birthday Month that will dangle in the center of the heart disc. 1- silver rectangle bar with mission serving in. Will come with either an 18" or 24" sterling silver link chain. Comes complete and ready to give in a light pink organza bag.